Test yourself - could you have PCOS? 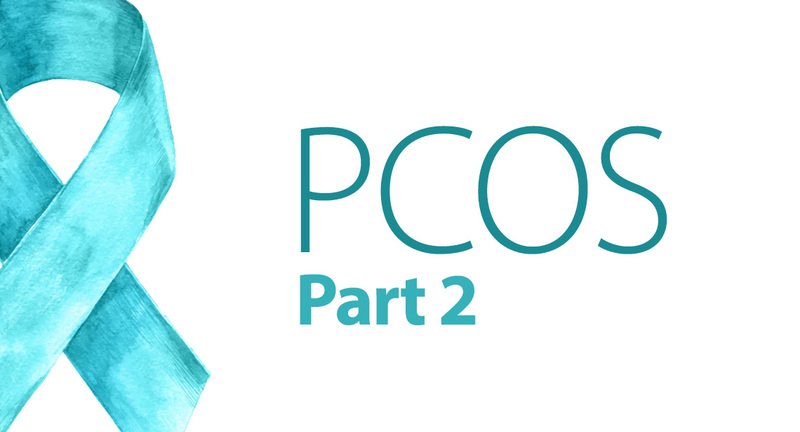 Click here to read "PCOS Part 1"
Polycystic Ovary Syndrome (PCOS) affects 5-10% of women, and it’s a frightening fact that half of them don’t even know it. It could be that women don’t equate symptoms like irregular periods and acne to being signs of an underlying cause, and a huge part of the problem is that many doctors have a difficult time diagnosing it. Track your menstrual cycle. If your periods are irregular or even completely nonexistent, this could be a side effect of PCOS. Even if your cycles have never been regular, it’s worth getting checked, as many women have this condition for years and don’t even know it. Consider whether your acne could have an underlying cause. While acne itself isn’t a sure sign of PCOS, consider that this condition affects women of childbearing age. If you’ve developed acne or been dealing with it into adulthood, the cause could be a PCOS-related hormone imbalance. This is especially true if you’ve experienced one or more of the other symptoms on this list. Notice if you’ve gained weight quickly, but have a difficult time losing it. It’s normal to gain a couple pounds during celebratory times of the year, but if you’ve gained a lot of weight for seemingly no reason, it could be a red flag. Insulin resistance, a side effect of PCOS, can makes it easy to put on pounds and very difficult to lose them. Decide if your facial hair is more than a few errant strands. Most women have to tweeze a little here and there, and many regularly remove fuzz from their upper lip. But if the hair on your face is growing in thick and sprouting in other places on your body, it could be from an overabundance of androgens relating to PCOS. See if the hair on your head has begun thinning. Frustratingly, while excess hair can grow where you don’t want it, the hair on your head can start to thin. This, too, can be the result of excess “male” hormones known as androgens. Recognize if you’re having a hard time getting pregnant. PCOS effects hormones, which impacts ovulation. Often, women don’t discover they have this condition until they start having trouble conceiving. In fact, PCOS is the leading cause of infertility. While there is no specific test to diagnose PCOS, your doctor may conduct a series of tests, which could include a pelvic exam, an ultrasound, blood tests, and an analysis of your symptoms. PCOS certainly presents challenges, but there are ways to treat and ease symptoms to make your life much easier. Exercise and dietary changes can help manage weight, and certain prescriptions assist with fertility and other symptoms. Women who suspect they may have PCOS should not be afraid of receiving a diagnosis because the more they know, the more they can seek out solutions — and they’re out there! In the coming weeks, we’ll be publishing another post on natural ways to manage symptoms because there is hope through PCOS! The above information should not be considered as medical advice and is not intended to replace consultation with a qualified medical professional. However, it sheds light on common signs that could prompt a visit to your doctor. Changing the way women around the world remove facial hair.